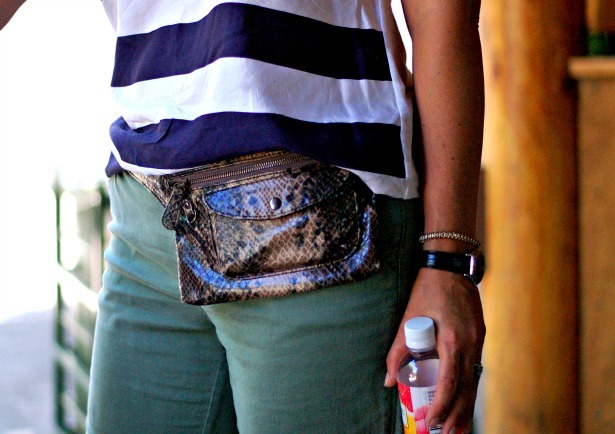 Glitter In The Grey: It's Not a Fanny Pack // Or Is It? It's Not a Fanny Pack // Or Is It? 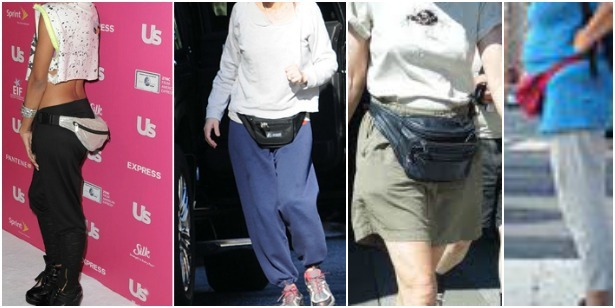 I understand there are needs for fanny packs (i.e. fp's). Hiking, cycling, sometimes running, but understand, a fp is not a handbag. It should hold the barest of essentials because you're trying to create a look, &/or stay hands free. If you need more than a handful of things in your fp, it's time to look into a cross-body bag. 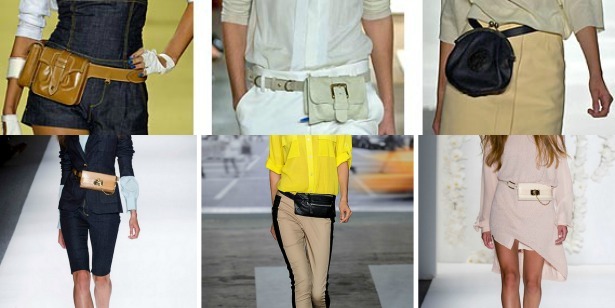 Here's the thing...There is a fine line between an acceptable and unacceptable fanny pack. See all these looks from the runway? (google images) So many styles, different designers...all have the same chic manner. and none succumbed to the elements mentioned above. 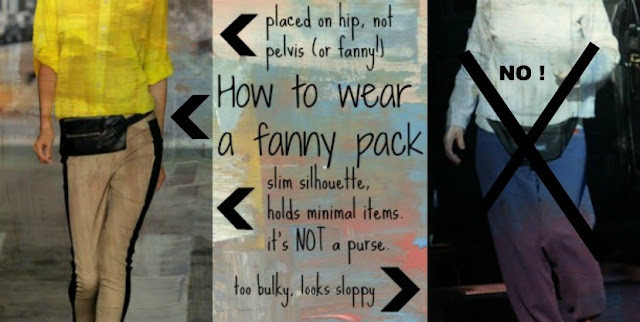 I refer to mine as a belt bag since the actual words "fanny pack" are pretty abhorrent to me. Plus, I actually put mine through the belt loops so literally that's what it is. You know who else things fp's/belt bags are cool? Rachel Zoe. So there. As usual, this post is meant to inspire and not offend. 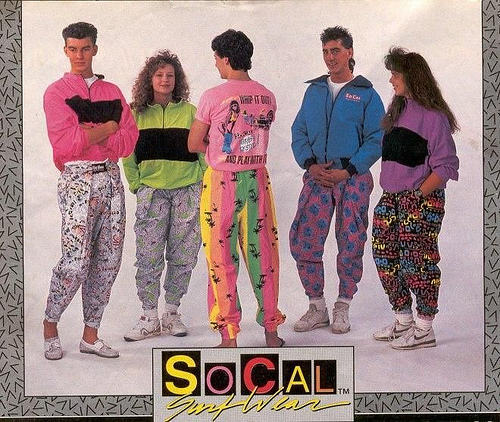 I'll say sorry now if you or your loved one likes or wears an fp. We can't all have the same taste, now can we? Mine is sold out, but from Karen Zambos. But in perusing her site, I found a scarf that is terribly awesome. What trends would you like to re-do? ...or never see again?! Find us on Facebook Twitter and Pinterest!